In the podcast below, my friend Carl Munson and I discuss my new book Escape the Diet Trap – lose weight for good without calorie-counting, extensive exercise or hunger. More details about the book can be found here. The full Introduction to the book is available via Facebook. Lovely to hear the voice of Carl Munson again. yay, carl munson is back! 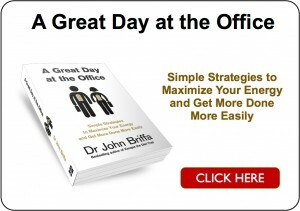 looking forward to reading your book dr briffa. I have just read your book and it is brilliant. I also follow Denise Minger’s blog and greatly enjoyed her analysis of the T. Colin Campbell book. You wrote about mashed cauliflower as a good replacement for potatoes. It is lovely, but I have since discovered from about.com, that grated cauliflower, cooked in a microwave without water for about 5 – 6 minutes, is a wonderful replacement for rice. It’s even better than rice, as it is so delicious. Don’t grate it too finely – the size for grated carrot is fine and you can use it in so many ways – stir fried, with garam masala, added to curries and stews or served on the side. It has been a revelation and a lot cheaper than quinoa. Keep up the good work – and since moving to north-west Spain, I have discovered that all my doctors are fully into low-carb diets. It’s nice to have proper support for a diet that makes sense. That grated cauliflower idea is fantastic. I don’t have a microwave so will try steaming. That’s great news about your doctors in Spain! 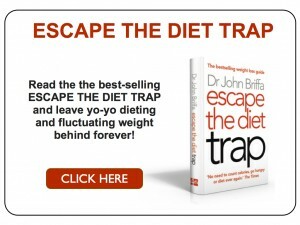 And finally – thank you very much for your kind words about Escape the Diet Trap. I look forward to reading your book and giving it to friends – love your practical approach that filters out the noise and makes sense out of low carb. But your book is not available on Amazon.us! Help! Tried lots of things but this approach works and makes sense. I’ve gone from 215 to 183 pounds in 2.5 months. Goal is to get to and stay around180 pounds which should be next week. I weight myself all the time now as it makes me feel good. Book helped me change my lifestyle – thrown away big clothes as not going back. Bought 3 copies of the book so far. One on Kindle for me and my iPad. Hard copies for my 28 year old son who is now getting heavy and needs to stop being stupid, one as a present for a friend who has seen me shed pounds and wants to lose his gut. I’m 53 but now fitter than I was in my mid 30′s – just started cycling and running again. Sad to see the TV and magazines and so called dieticians/fitness gurus still telling people to be on low fat diets.